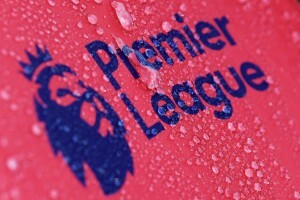 You are here: Home » Indian Football » Indian Football Transfers : Is Mohun Bagan On The Right Track ? Indian Football Transfers : Is Mohun Bagan On The Right Track ? Indian Football and Kolkata giant Mohun Bagan are looking to build a strong team for the next season after yet another disappointing I-League season. The defense and midfield have been the reasons for woes for Bagan for the last few years. Where as the team had the likes of Barreto, Odafa and Tolgay to lead the team upfront, they lacked a leader in the defense and the midfield. Last season started off with a lot of promise for the mariners with one of the most controversial transfers of the recent past, Tolgay Ozbey. The Kingfisher East Bengal star striker signed for arch-rivals on the final day of the season, scoring 4 goals in his last match in red-and-gold colors. Ai? ?The glossy picture soon started to fade off as Tolgay struggled with dual problems, first with his injury and then his clash of ego with captain Odafa Okoli. 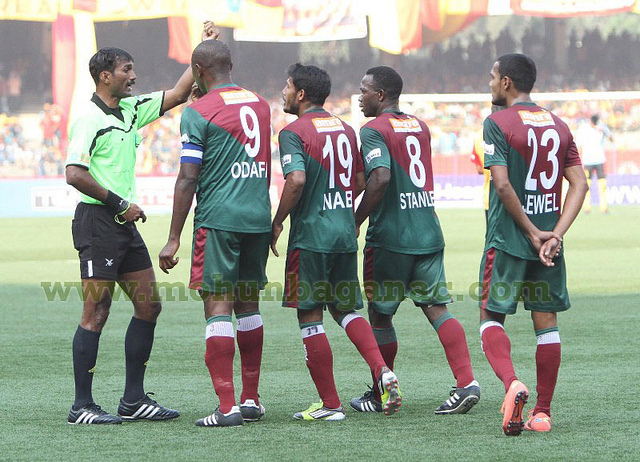 Bagan did well in the second half of the I-League(after giving a huge penalty of Rs 2 crore Ai? ?and starting the second leg with zero points, result of an unprecedented decision in the 9th December derby). Odafa-Tolgay duo played together for the first time in second half of the league under Ai? 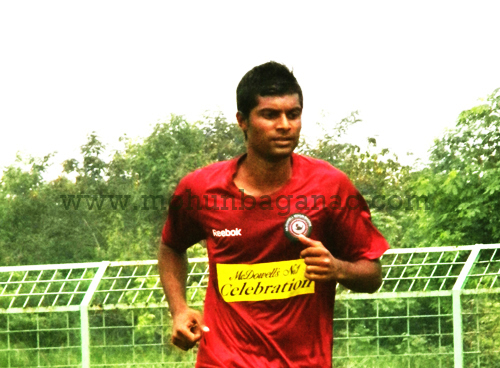 ?Karim Bencharifa, who came back for his second stint with Bagan. Though their efforts were just enough to save the team from relegation zone, there was no change in fortune as far as the trophies were concerned, and adding serious insult to injury was to get beaten by arch-rivals twice, in IFA Shield semi-final and a title-decider in Kolkata Premier League. The reason behind this horrific performance by Bagan, was mainly a lack of football sense and inability of the club management to forge a balanced team, and partially because of the fondness of signing ‘stars’. The recruiters repeatedly made the same mistakes of building a team which is so powerful in striking zones, and so vulnerable in the back and middle of the pitch. While they signed players like Odafa, Tolgay etc. for the striking position, their choice of Stanley as midfield marshal was rather silly, and the team always lacked the flow on the ground. Though the signing of Echezona as a central defender proved to be significant, players like Maithani, Snehasish, Khelamba, Anil Kumar, Masih, Jewel Raja were nowhere near to their best. Even youngsters like Fela, Fanai, Bijen Rai and Arjun Chatterjee seldom featured in the final line-up. Of course there was the exception of C.S. Ai? ?Sabeeth who proved to be a good ally to Odafa in the absence of an injury-prone Tolgay. 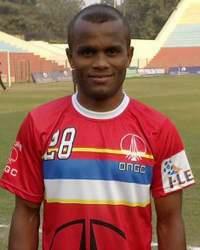 Things seemed better when in the winter transfer window Quinton Jacobs, a Salgaocar turn-down, came to the rescue. But it was just a make-shift arrangement, and was never going to be enough for lifting trophies. The season ended with fans and followers of Bagan being dejected and frustrated for one more time. To make things worse, a huge money-scam in Bengal also substantially affected the budgets of the football clubs of Bengal, if not in the whole Indian football. Along with the football budget coming down there was another issue to deal with that of the proposed IPL style league proposed by the AIFF. With the budget going down and the lucrative money offered by the new league, players are reluctant to sign for the clubs and even Mohun Bagan is facing the same problem. Bagan released all but eight players from last year’s squad, and there are some big names in the release list (Tolgay, Nabi, Maithani, Arindam Bhattacharya were to name a few among them). Clearly the budget has been a concern, but not the only one, the players’ performances were surely not up to the mark. Ai? ?The drama behind Tolgay’s last season switch over to Bagan attracted a lot of press, but his on-pitch performance hardly matched his billing. He was a huge success under Trevor James Morgan in Kingfisher East Bengal, but in his new club he lacked the similar support. The midfield consisting of Nabi, two Manish (Maithani and Bhargav), Snehasish, Masih, Devdas and even with Jacobs, was never close to what he got in East Bengal. Also, the war of words between Bagan and Bengal shifted his focus from the game and he also had differences with the teammates, specially with his coach and captain. All this and a not so successful prompted the Bagan management to release him. The MMB team so far looks young and much more balanced than those in the last three years. Over-budget “surprise” signings had cost mariners dearly, and when arch-rivals KEB had set the deal with some of the brilliant Indian recruits over the years, they had to build the team with mediocre sons of the soil. Where’s the money after chasing the big-name foreigners? Ai? ?Be it Diamondstar, Zeleny, Simon Storey, one thing was common for all the lesser-known outsiders; they came, they saw and they failed to deliver. No wonder they had to be ejected out of the team mid-season. Exceptions like Eche and Odafa were not enough to carry the team to earn a silverware. The club’s policy was Ai? ?made clear by the Club Secretary Anjan Mitra, when he said that while all the Indian players are at par, its the foreigners that make the difference in the team. No wonder Mitra’s remark created a lot of buzz. Meanwhile, Debashish Dutta, club’s finance secretary and head of player recruitment, sent his resignation as the team manager, taking the responsibility for the team’s debacle. Things by far are looking different this year for Bagan. Players like Katsumi Yusa, Antony Perriera ,Ai? ?Adil Khan and Pratesh ShirodkarAi? ?who shined in their respective teams last year, have signed for Bagan. Even the defense seems well-formed with Eche, Aibor, Wahid Sali, Rowilson, Kingshuk etc. As far as the coach/TD is concerned, MMB has been the most whimsical team in Indian football. The coach’s room in the team always had the swing door, opening and closing within the blink of an eye. Things have been different in that aspect too. This year management has shown their faith in Karim again and has retained him for now. The team looks good on paper, with a happy blend of experience and youth. Now it’s for the players and the coaching team to deliver on the ground. Sure, millions of eager eyes around the globe will have their gazes fixed at the green-and-maroon brigade, hoping to see their beloved team to emerge as winners this time out. Who wants to be a loser time and again?